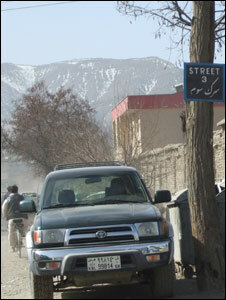 Impoverished Afghanistan is slowly reopening itself to the world and English has become the key. Hundreds of private English-language schools, with tens of thousands of students, are mushrooming all over Afghanistan. An explosion in English language studies, fuelled by the growing dominance of American culture and the financial realities of globalisation, is unprecedented in a country which is thousands of miles away from the nearest English-speaking nation. Interest in English increased dramatically after the fall of Taleban in 2001 and with the arrival of the United Nations and other international non-governmental organisations (NGOs) involved in developmental work. There are few jobs available in the public sector and the handful of employment opportunities at foreign aid agencies make knowledge of English invaluable. English is not only a requirement to work for a foreign NGO but it is also required for many government jobs. "When you apply for a job, the first thing they ask is how good is your knowledge of English language," says Kabul-based civil servant Abdul Basir. Most instructors at the language centres learnt English as refugees in Pakistan and returned to Afghanistan after the US-led invasion to exploit their English skills. English-speaking Afghans working with NGOs are paid 10 to 15 times more money than they did when they were drivers, translators and interpreters. Several language centres also allow girls and women to attend classes. In some centres, there are exclusively female classes taken by female instructors. "Girls are increasingly taking more interest in English. It is considered to be the key to every success," says Wazhma, 24, an English teacher in Kabul. Today, nearly everyone knows the importance of English and parents want their children to learn the language. "I want my son to learn English. If we find money, I want to send him abroad for education," says Kabul resident Jalaluddin. In the past, English language was taught as a subject from the seventh grade in schools but in post-Taleban Afghanistan, it starts in the fourth grade. The education ministry has been working on a new syllabus for schools and there is a nationwide drive aimed at making English the primary foreign language taught in the country. "The aim is to enable students to work in an English environment, both in Afghanistan and abroad, after they graduate from the 12th grade," says Dr Ehsan Azari, an English language specialist in the ministry. 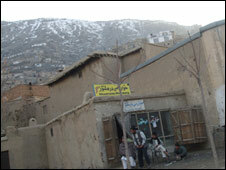 Several foreign cultural and information centres are also engaged in promoting English in Afghanistan. The British Council's main focus of work in Afghanistan is English language support. It has opened resource centres in Kabul and Mazar-e-Sharif bringing English teaching and learning materials for university students, staff and teachers. A number of private educational institutions, including the American University of Afghanistan, have also opened branches in the capital and other major cities in the country where the medium of teaching is English. The importance of learning foreign languages has been known in Afghanistan for a long time. A saying in Afghanistan goes: "Anyone who knows a language is one person, the one who knows two languages is two persons, and the one who knows multiple languages is multiple persons." 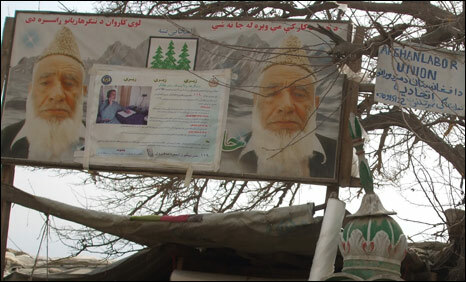 Even during the Taleban era, there were some English-language centres where pragmatic and ambitious Taleban members were learning the language. However, the extremists among them shunned it as the language of "infidels". 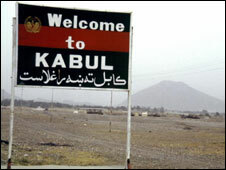 But soon after the fall of the Taleban, Kabul became the city of English-speaking foreigners. English is also reaching people through the media. Bilingual websites, mobile phones with text messaging, English satellite television and movies, radio stations with English language news - including the BBC World Service on FM frequencies - and several local English-language newspapers are having an impact on the Afghan way of life. The presence of large numbers of foreign residents has contributed to the growing numbers of bilingual store signs, street boards and restaurant menus. Even in remote towns, young students can be heard speaking in English. And one can see its influence on local languages. Several English words have already become part of the daily conversation. In some cases, English terms have been joined with local words. An example is the Pashto word "gadwad" (meaning mess or mixed) which is modified as "gadwadation" to refer to a messy situation, while "garbar" (meaning chaos) has become "garbaration" to refer to a chaotic situation. The penetration of English is now influencing nearly all sectors of Afghan society. In previous decades when the Soviet Union was heavily involved in training and equipping the Afghan military, knowledge of Russian was considered a critical skill. But since the US-led invasion of Afghanistan, Russian has been replaced by English. Courses have been launched to teach English to Afghan military personnel who often work alongside international forces. "Learning English has become an important skill for members of the Afghan National Army and police," says Ustad Paktiawal, a teacher at the police academy in Kabul. "This enables them to communicate with their trainers from different countries of the coalition and understand each other." English also helps members of the Afghan security forces to be considered for attendance at military schools in the UK and US. 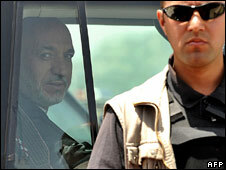 President Hamid Karzai is a fluent speaker of English and so are many members of the Afghan cabinet and state bureaucracy - a number have lived or studied in the West. It seems as if English has firmly established itself as the language of the future.